15% Off All ExtendMySeat Products! 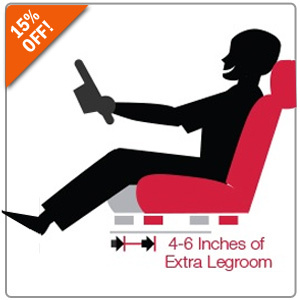 ExtendMySeat is a revolutionary automotive product that gives drivers an additional 3-6 inches of legroom. This is especially convenient for tall drivers who are often cramped with the typical amount of legroom in their vehicles. With simple tools and the provided bolts, you can install ExtendMySeat in about 30 minutes! Use promo code EXTEND15 at Step #5 during Checkout! 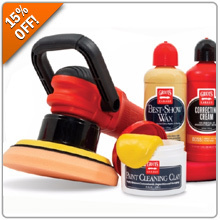 15% Off All Griot's Car Care Products! Shop all Griot's liquid car care products like Best of Show Wax, Spray-On-Car Wax, Speed Shine, Wheel Cleaner, Leather Care and much more! For yourself or makes a perfect gift to a fellow car care enthusiast! Enter promo code CLEAN15 at Step #5 during Checkout for your discount! Click HERE for Griot's Car Care Products! Nicholas Hunziker's racing artwork is highly regarded as capturing the true essence of the best era in classic motorsports. 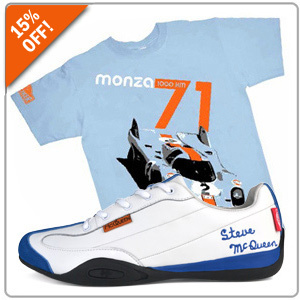 Now you can enjoy these iconic scenes as wearable art with your choice of exciting racing tees and casual driving shoes. Express yourself as the true enthusiast you are! Be sure to enter promo code HUNZ15 at Step #5 during Checkout! Click HERE for Hunziker Apparel!